Philip Christensen is using AgriSync to give his farmer customers more uptime. Philip Christensen, Precision Ag Specialist at Papé Machinery, is using AgriSync for better time management and more uptime for farmer customers. Christensen covers one of the largest territories in his company, including parts of Nevada, California, and Oregon. With AgriSync, Christensen has successfully solved issues remotely in only five minutes. Before AgriSync, a support call meant 10-12 hours in drive time alone. Since reducing drivetime for non-toolbox issues, Christensen is able to serve more of his farmer customers better. "We use AgriSync because it's an invaluable tool for me because my territory is so big. I run from about Reno, Nevada, geographically, all the way up to the Columbia River in Northern California and all the way up to Central Oregon." 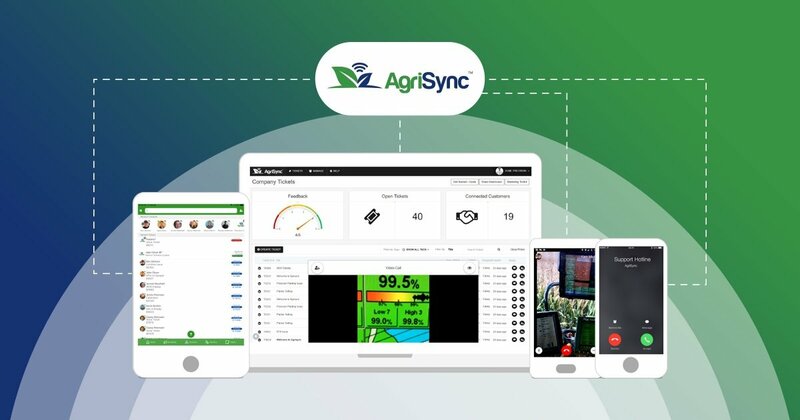 "Some of the nice things about AgriSync is it helps with time management, reduces downtime for customers. From one side of my territory to the other takes about 9-10 hours to get there. Instead of them being down for a day waiting for me to get there to go help them with something simple, I can get on AgriSync and talk to them and see what they're seeing and usually fix it. So it cuts down from what would be 10-12 hours. It cuts it down to five minutes and they can stay in the field and keep going and get the job done."